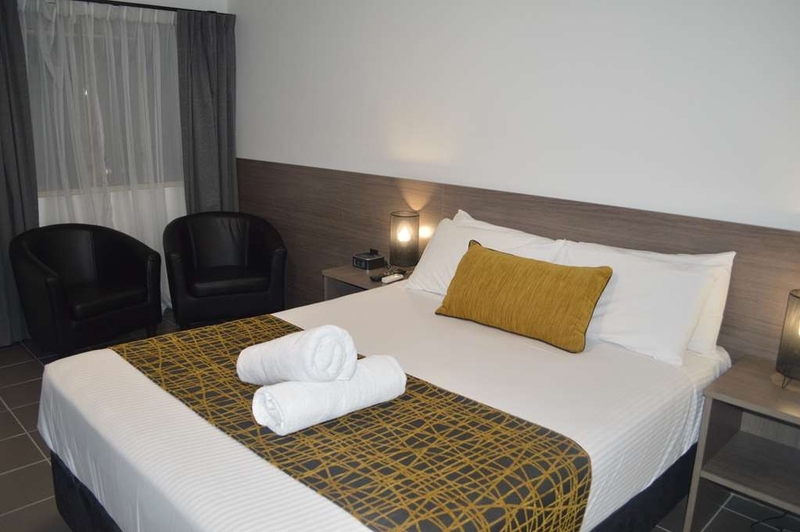 The Best Western Plus The Stirling Rockhampton is ideally located in the center of Rockhampton. Come and experience our hotel near the major tourist attractions. Best price guaranteed and exclusive deals. 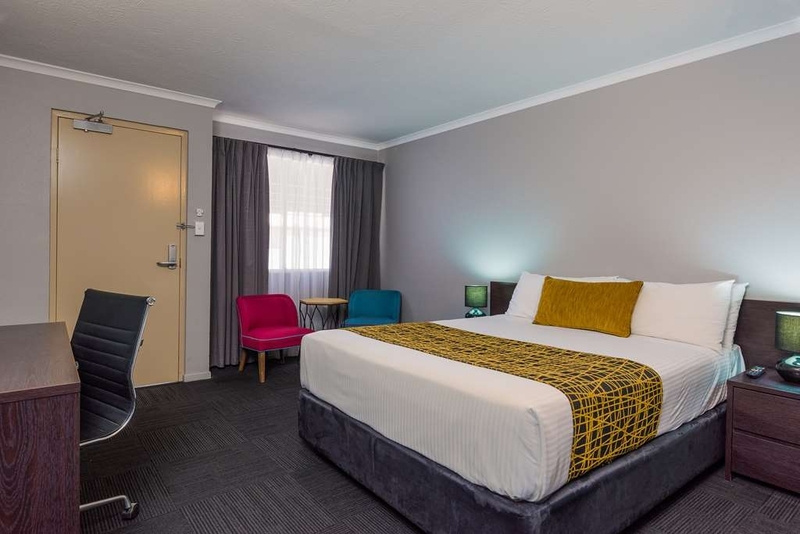 Stay at this conveniently located Rockhampton motel, close to the city centre and a short walk or drive to beaches, tourist attractions, Central Queensland University, Capricorn Caves and Great Keppel Island. 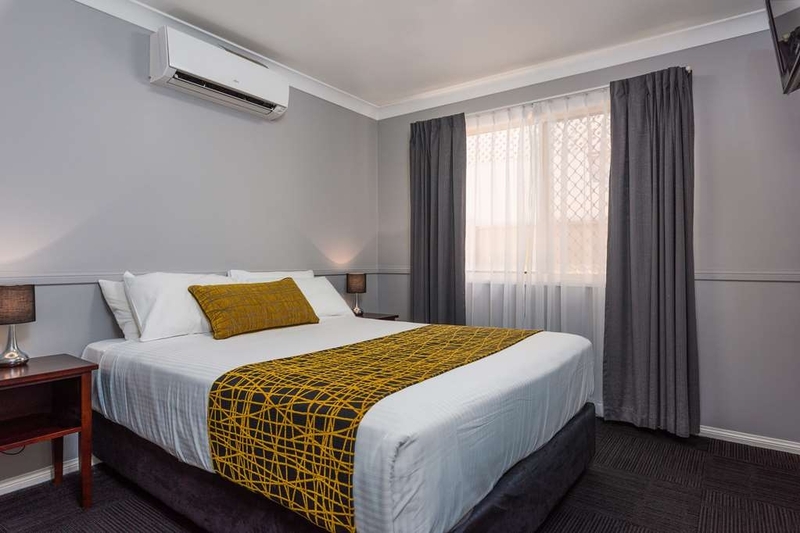 The Best Western Plus The Stirling Rockhampton offers comfortable accommodations in Rockhampton for both corporate clients and holiday makers with air conditioning, satellite TV and high-speed wireless Internet access. The onsite restaurant and cocktail/wine bar are very popular with the locals (always a good sign) and provides an enjoyable a la carte dining experience. 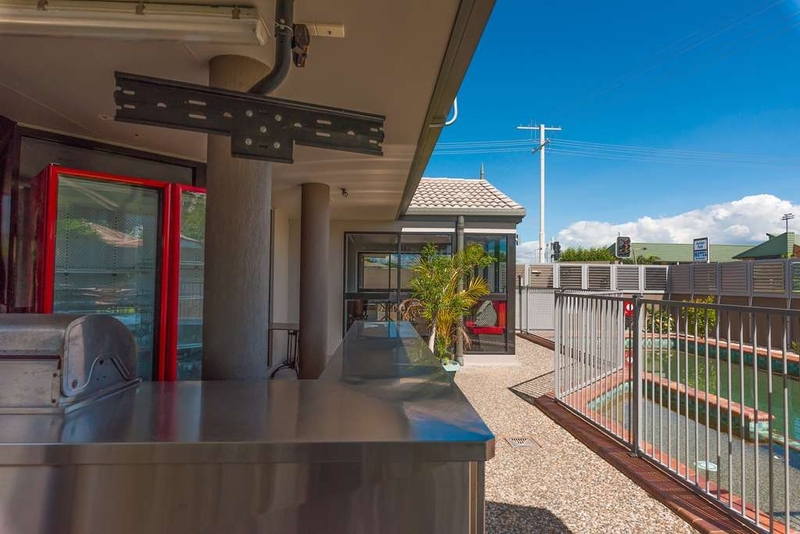 Other facilities at this Rockhampton motel include a stunning swimming pool, BBQ and free parking. 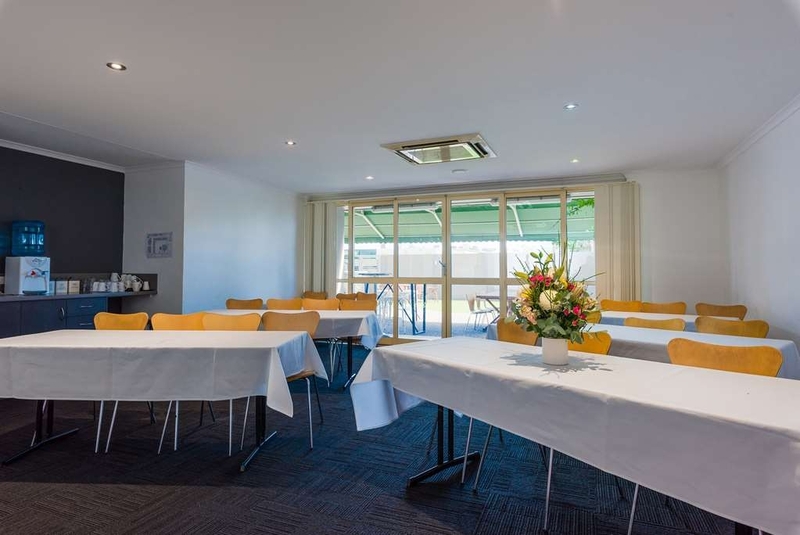 The motel also has conference/meeting facilities with experienced support staff on hand to help you plan your function. 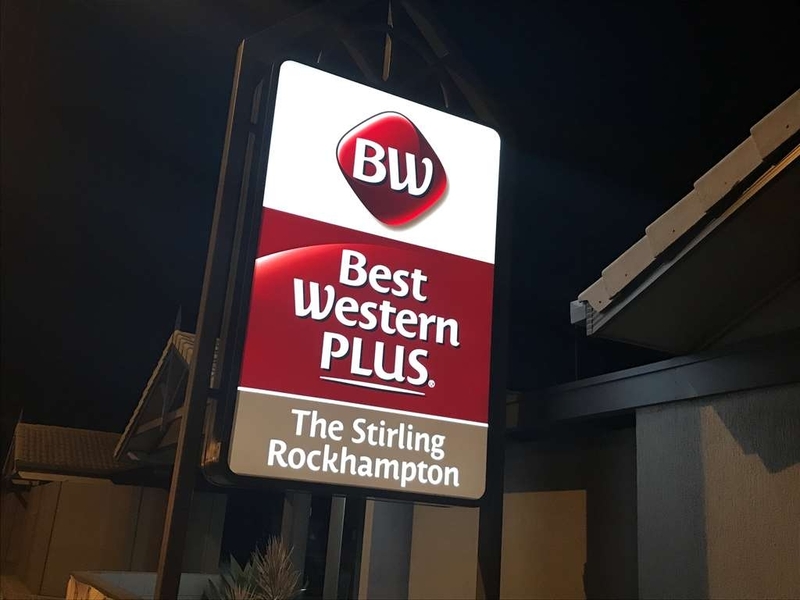 For exceptional customer service and a convenient location in Rockhampton, make a reservation at the Best Western Plus The Stirling Rockhampton today! Enjoy your stay. "Affordable, Clean Friendly Place to Stay"
Fabulous Christmas Day seafood lunch. Great friendly staff. Rooms are spacious and modern. Will definitely return. 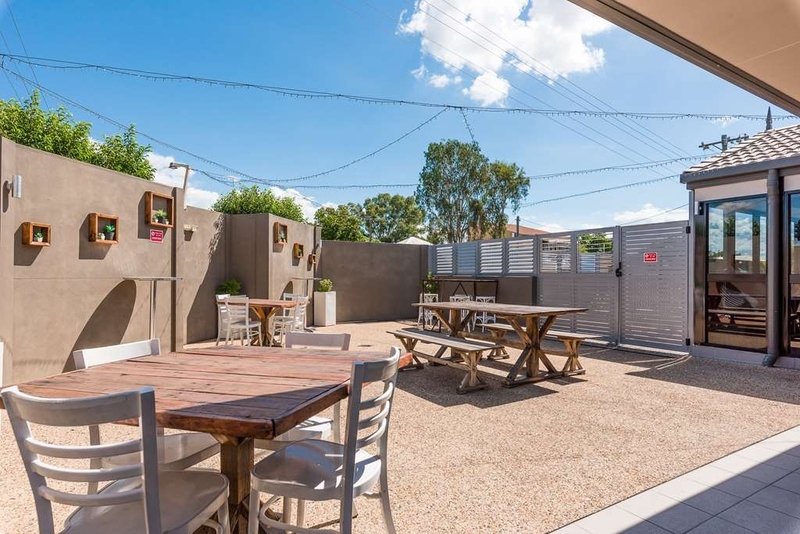 Only short walk to city centre and close to airport. Across from Browne Park footy fields. "Nice Staff, Great Food, Terrible Room"
I spent three days here on business. I arrived on a Sunday evening at around 19.30, having flown in from the other side of the country. Reception and the restaurant was closed, however there was a phone number to call which allowed you to gain access to the room you were staying in. My allocated room was on the other side of the property which was basically shared. There was no parking space for a car and the room was the noisiest hotel room I have ever stayed in, as it was nearly shared I could hear everything happening next door and a dog that never stopped barking in the adjacent property. Not the sort of place you want to stay in when you wish to get a good night's sleep for a hard day at work. However, the staff and restaurant are very good, I ate here and the food was excellent. I would probably not want to stay here again. I spend every week on the road around Australia as a rep. This HAS to be the best accommodation and restaurant on the east coast. Room more than comfortable and impeccably clean. Restaurant meal was outstanding. I had the mini Mignon and honey tempura prawns with a margarita- heaven. Stayed for 1 night in a ground floor room with covered parking. Clean and comfy room with tea/coffee facilities and comfy bed and pillows. 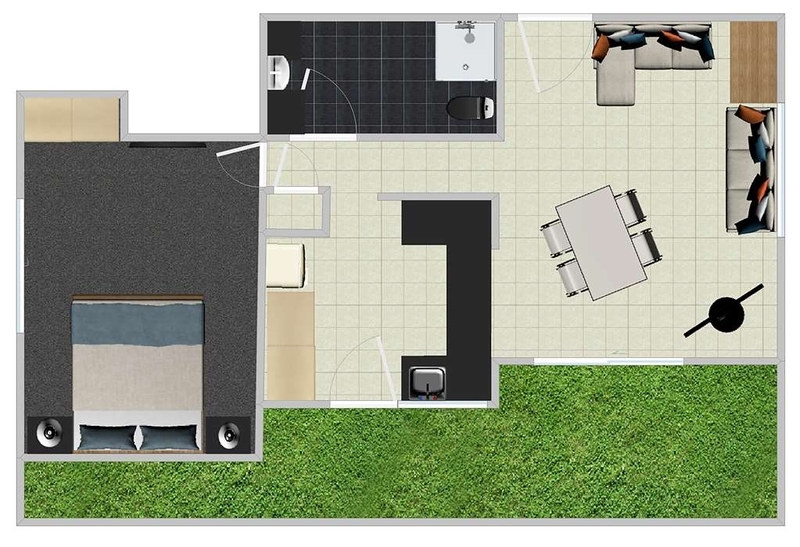 Good Split system air con and quiet room with a nice bathroom. Reception was nice and helpful. Stayed at the sterling for business, this is very much a truckie stop, people coming and going all hours of the morning and with parking just outside your room all you can hear is when others are starting their cars. Rooms weren't bad great shower and they had a bar which was also great. Room was very clean and tidy. Attached restaurant was excellent for food - very nice steak which you would expect in the beef capital. Close to town so you could walk in if you wanted to. Weekends are quieter as not so many workers in the town and motel. "Just a great place to stay." Traveling through and going to be late. No problems door card in safe and code text to me room fantastic, vlean and well appointed. Breaky starts at 6am good idea. And was great wholesome well prepared and quick. Our new Rocky go to for sure, thanks for a great stay. "Excellent value money motel. Good restaurant, and a very convenient location"
I have stayed at The Stirling now several times, and have never been disappointed. The staff are great and very helpful. The rooms are modern, without being 'over the top'. They have a variety of room styles which I feel would accomodate most peoples needs. Could not fault it .. great service, great location, loved the restaurant - beer and wine on tap.Beds are great . Very clean. And best omelette I've ever had for room service !! Definately coming back . "more like a rest than a business meeting"
This motel is super friendly and has great steak dinners. Close to everything and very clean. 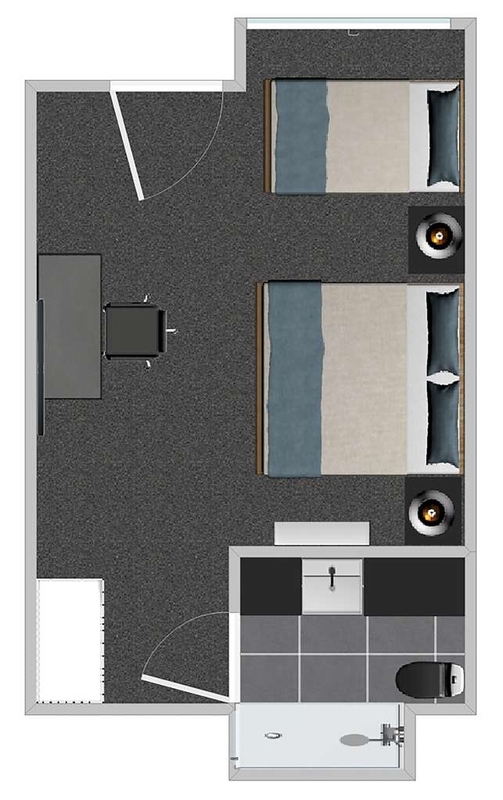 Parking right outside your door and a desk in the room. Plenty of power outlets to charge devices and free fast wifi. Brilliant al a carte breakfast or room service. Great place to stay when working or with family. Would definitely stay again. The service is reminiscent of Basil Fawlty, rude, surly, superior who cannot allow an opportunity to insult go by. The rooms provide the absolute bear minimum in terms of comfort, you definitely won't oversleep, if in fact you can sleep at all. No no no, we will never stay at the Stirling again. "Weeks spent at The Stirling"
"Handy location for doing business wiht side of the river." Very clean room in general and bathroom was also clean and very modern. Desk and work area good size for a business stay. Restaurant meals and service were generous in portions size and excellent quality. "No beefs with this place"
Well kept and well appointed with some of the very best personal service ever. Fran went out of her way to make our booking, arrival and departure, as smooth as possible. She was also a great source of local information. 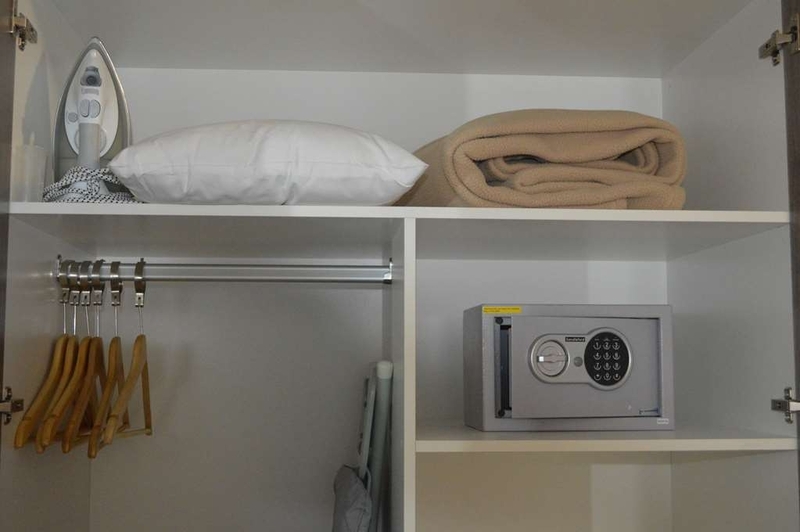 The rooms are clean and well kept , monitored by management. There's a fridge, kettle, and coffee and tea available as well as the standard mini bar. 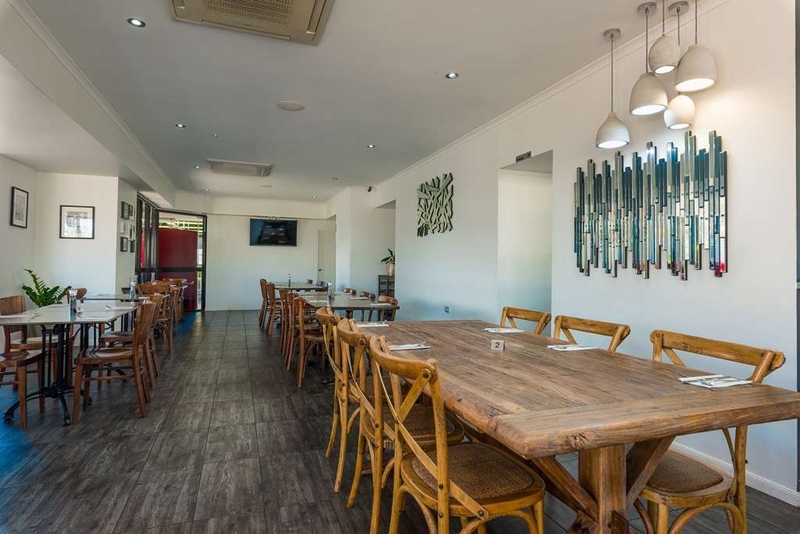 Onsite restaurant is in the $30+ range and is attractive in a spare sort of way. "Great restaurant, clean & fresh." A lovely clean, fresh room with a nice huge shower. Restaurant has great food, breakfast and dinner and if you want to go out it's very close to some great clubs and restaurants. No complaints here, I will go back. This hotel was excellent for a quick stop over while driving through to cairns. Arrived here late in the evening, very simple to check in (the two ladies were a great help) Clean modern rooms, nice and quiet. "Family room loved by my 3 kids. " "Special thanks to check in guy "
The hotel car park was almost empty which, bearing in mind we had a faultless stay, surprised us. 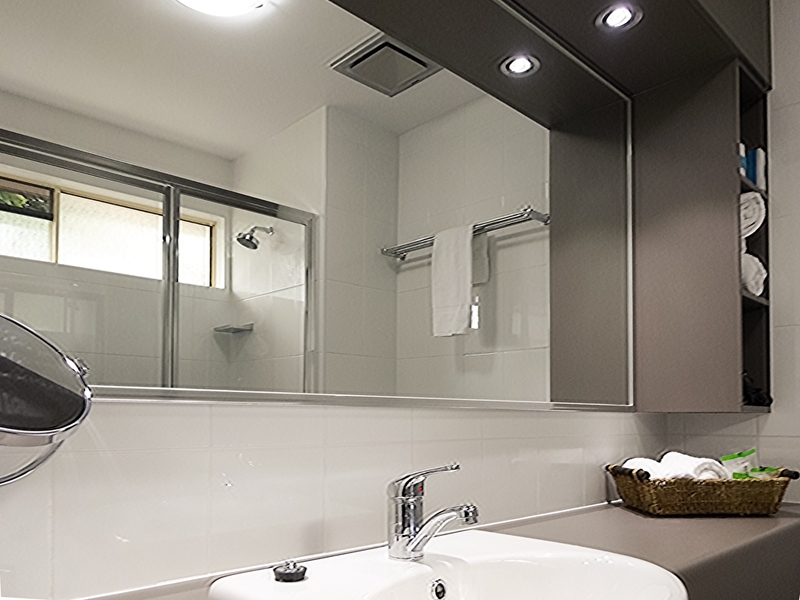 Both the bedroom and the bathroom were spacious and modern. Everything worked well. A little bit of traffic noise. Reception staff very friendly and appreciated the advice of the check in guy to eat at the Rugby Club cos the hotel restaurant was closed on a Sunday. Great value lovely meal. Room very modern, quiet and spacious. 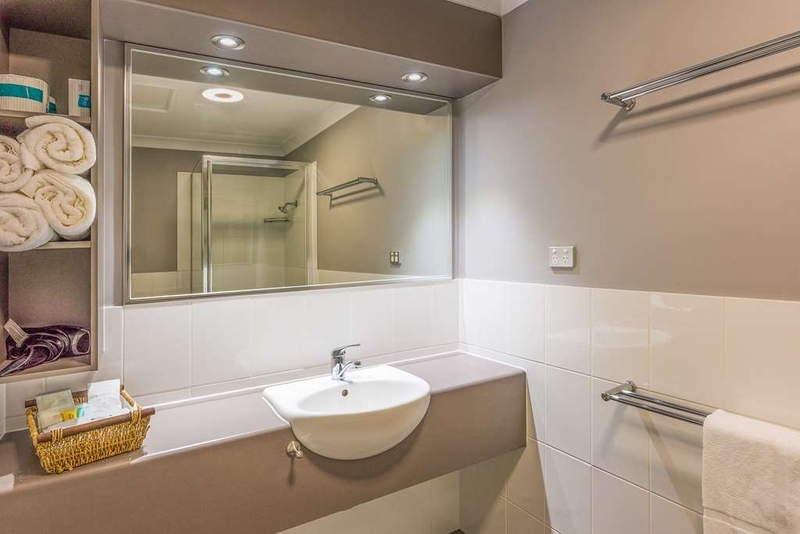 Big bathroom, bright. Good location. Undercover parking. Room service excellent. Kitchen staff very accommodating with food requests. meal excellent. Bar available if required . Reception staff very helpful. Enjoyable hotel to stay in when away. "1 Night stay while in town." Had a late check in , room was great. Big and clean. Unfortunately all i wanted for dinner was a steak burger of some sort , but would you believe they don't do burgers ?? There restaurant is above that. Great location , would stay there again.. Thank you for providing rooms for us at a short notice... Clean tidy room equipped with all things you expect in a best western motel room. Comfortable bed, large room. Quiet and calm at night yet pretty handy to all amenities and eateries. The team here always go above and beyond to provide amazing service. Friendly and professional. The restaurant meals are fresh, delicious and have a great range of options. 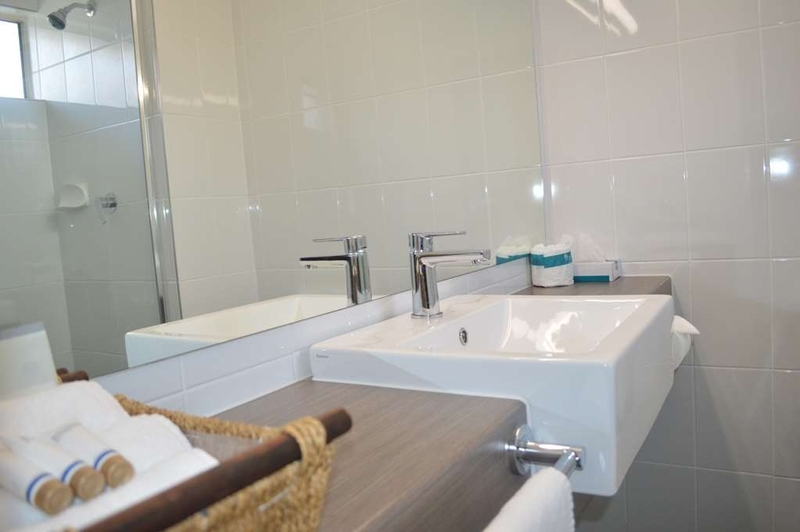 The rooms are clean, with very comfortable beds and accessible internet. Thank you for the amazing hospitality! This Motel is about 3km away from the CBD nice greeting with check in, then on to our room,there is under cover parking right in front of the units, The unit it self was very clean and tidy the room was of a good size as was the bathroom/toilet, We had dinner at the Restaurant which was apart of the Motel, the food was good, the price's for the food and drinks were on par with other bars and hotels price wise.One would stay here again. Hi Dave Many thanks for taking the time to review your recent stay at the Best Western Stirling Hotel. We take all reviews very seriously and use them for staff training and owner feedback. It was particularly pleasing to see your scores on our restaurant, rooms and service. have passed this along to the staff. 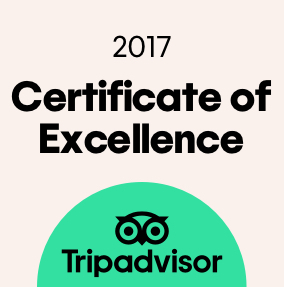 Once again, thank you for your time and we look forward to seeing you on your next trip to Rockhampton Kind regards Tony H.
Stayed one night en route to Airlie Beach. The hotel is located on the main by pass road and can be quite noisy. We were put in Villa which was very quiet in a separate location to the main accommodation. The reception staff are so nice and helpful and make up a little for the basic room. The rooms are a good size but are just an average room, certainly nothing special but OK for one night. Bathroom could have been cleaner. Our room had no outlook at all and the old house next door was quite noisy even though we had asked for a quiet room. Anything would have been better than looking out at the back of an old house and a wooden fence! Restaurant on site is quite expensive . The hotel is not in the centre, probably 2 or 3 k to main cbd area. We would probably not stay here again as there is a good choice of accommodation in the city and at this time of the year some good deals are around. 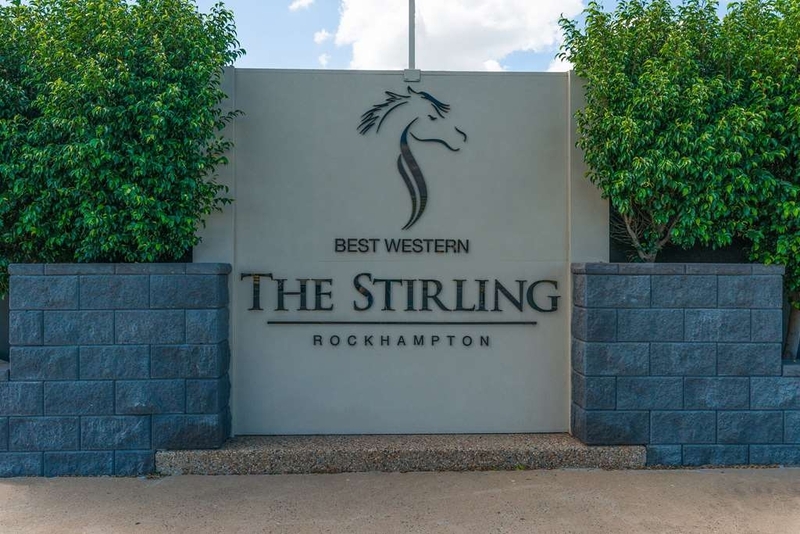 "Best Western The Stirling Rockhampton "
I travel a lot for work and the Stirling is the best place to stay in Rocky! The food is absolutely incredible and the service is second to none! Excellent rooms, plenty of parking. Hows this for a steak! "Blissful after a long drive"
I arrived at the Stirling for the first time after a long drive. Lovely clean comfortable room, great friendly and welcoming service. I had an excellent night sleep in a very comfortable room. I had dinner at their restaurant and was really impressed with the meals which were a significant step above the standard motel meals. I really enjoyed all the Stirling had to offer and will be making it a standard for my trips to Rockhampton. 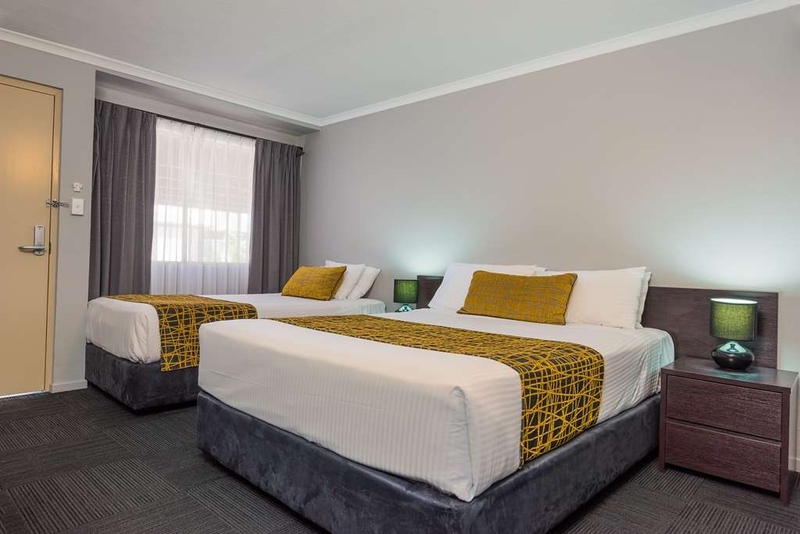 I stay at The Stirling Rockhampton quite often when traveling for work and am constantly amazed by the amazing service and quality rooms and meals I receive. The team are always accommodating to the guests with professionalism and flexibility. They always go the extra mile in a friendly manner. 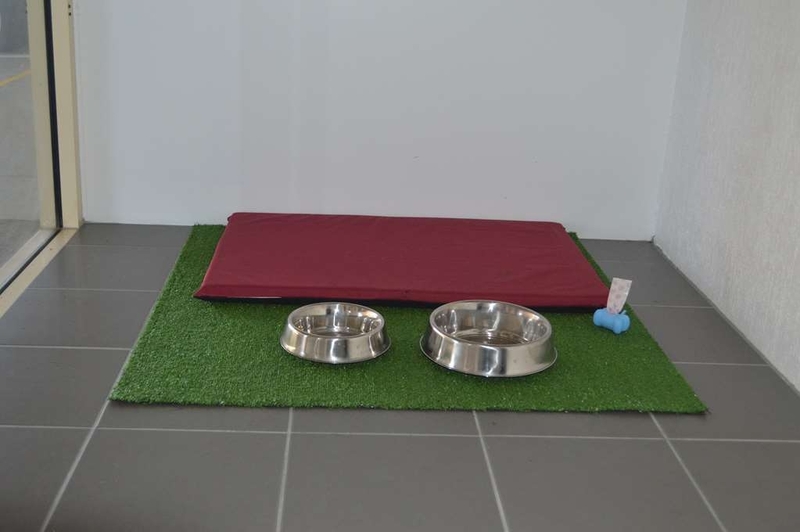 The rooms are very clean and the meals are fresh and generous servings. It's rare to find all these qualities in one place. Thank you! Thankyou to Robin, Linda,Tanya & all the staff for all you did for our daughter's wedding reception. Your help in the planning process, the preparation & the implementation was outstanding. Everything was absolutely perfect - the room, the food & drink & the service. You have a fabulous, friendly & very helpful staff who obviously love what they do. The rooms are modern & clean. You all made our celebration very special. We will definitely be recommending your venue to others. What can I say ... For 4 blissful nights I slept on a cloud resting on a marshmallow... But seriously I stayed in a few different rooms (my fault not theirs) & all the beds are of exceptional quality.The rooms are clean & the steak is delicious. Will be going back next time I'm in Rocky. ?? I could not compliment the staff more if I tried. The food was excellent, the room was modern and comfortable. 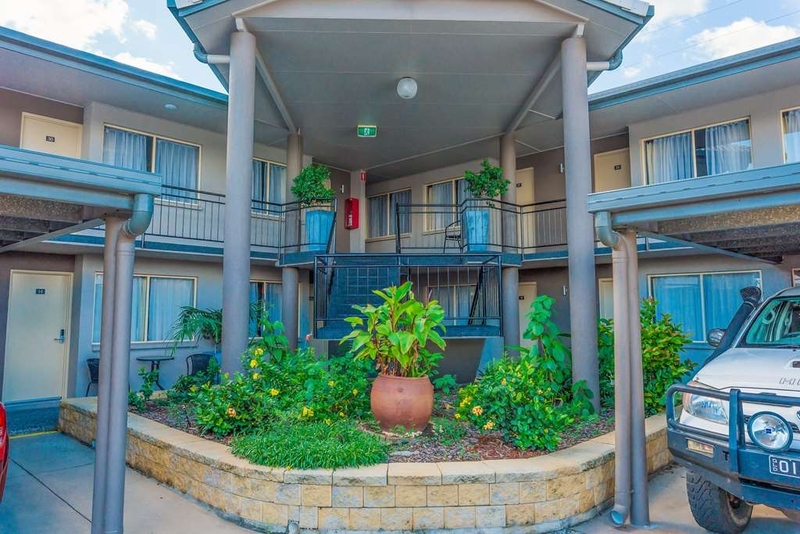 I always stay at the Best Western - The Stirling Rockhampton whenever I am there. Been there four times now and highly recommend them. Quite a change from other places I have stayed. 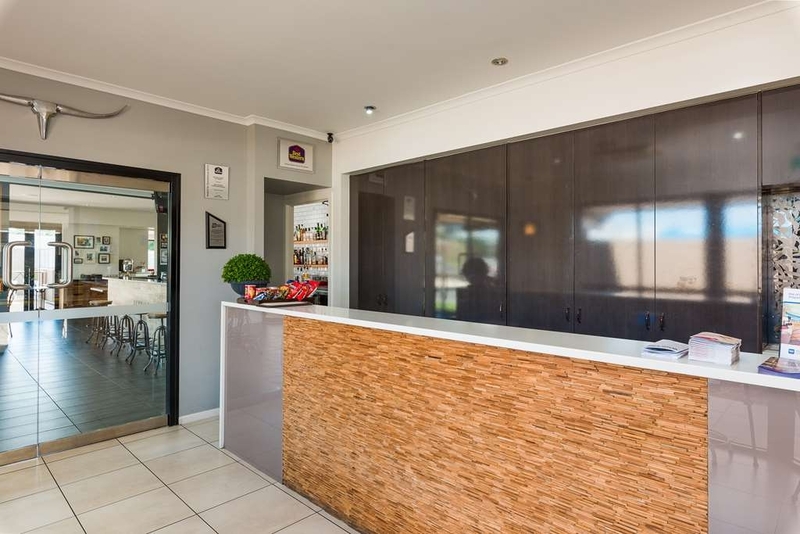 As soon as you walk into reception the entire staff was very friendly and helpful. The room was spacious and spotlessly clean. Large TV. The bathroom was large with lots of bench space, which isn't always the case. Due to prior arrangements, I couldn't have dinner there, but if the breakfast was anything to go buy, then dinner would have been superb. Breakfast was cooked to perfection. When next I am in Rocky, be it business or pleasure, I will definitely stay at The Stirling. A very basic but clean room. A little overpriced for what it was. Meal from the restaurant was very nice. Steak cooked well. Easy check in and out. Quite central. Large shower. Room smelt distinctively of bleach. A little overpowering. Hosts were very welcoming. I stayed here for work a few weeks back. I can't complain one bit. Very clean rooms and well appointed. Food was great. Service outstanding. 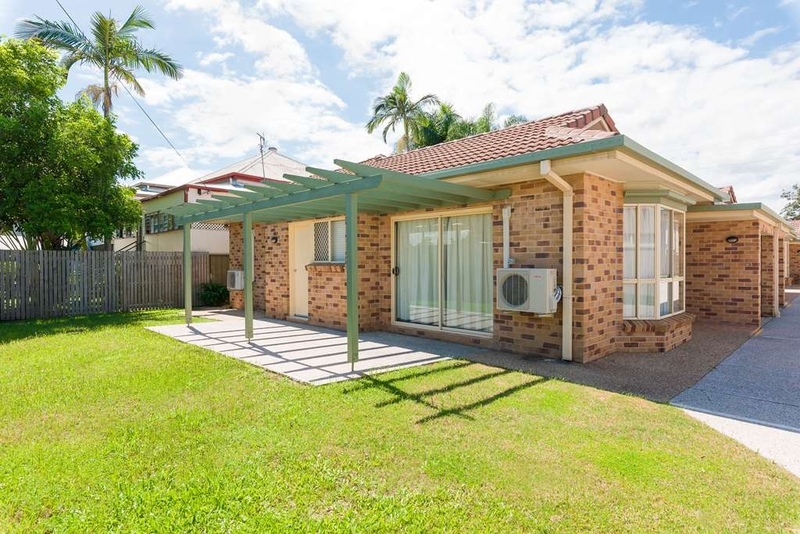 Location is great handy to many shops and sporting facilities. "Great place to stay in Rocky"
I've just been a three-day weekend (working) at the Stirling and found it an excellent place to stay. First-class meals (reasonably priced) and excellent room service, absolutely brilliant friendly staff and all the rooms are in pristine condition. I noted in a previous review a whinge about the lack of a bar fridge, however, management were only too happy to place my ice packs in their freezer and although I read there was a 200MB limit on Internet usage I found no restriction. I worked all weekend on the computer with no problems – enjoyed the meals – enjoyed the friendly atmosphere within the restaurant and despite the large number of people the meals arrived quickly and were absolutely first-class. I had previously stayed at the Stirling and remembered it as good value accommodation, centrally located with good undercover parking. I would certainly recommend the Stirling and would not stay anywhere else in Rocky. 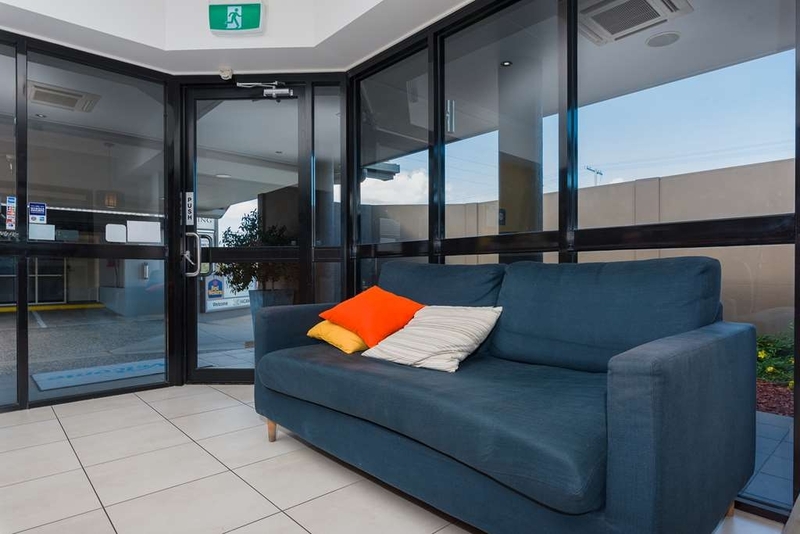 "Good motel but some negatives, perhaps not good value for money"
I recently stayed at Best Western The Stirling and generally agree with the mainly positive reviews of this property. The refurbished rooms are attractive and well presented and I found the bed comfortable. Full marks for the restaurant providing gluten-free and vegetarian dishes and the early start (6.30 am) for breakfast at the restaurant and the reception is handy for early starters. 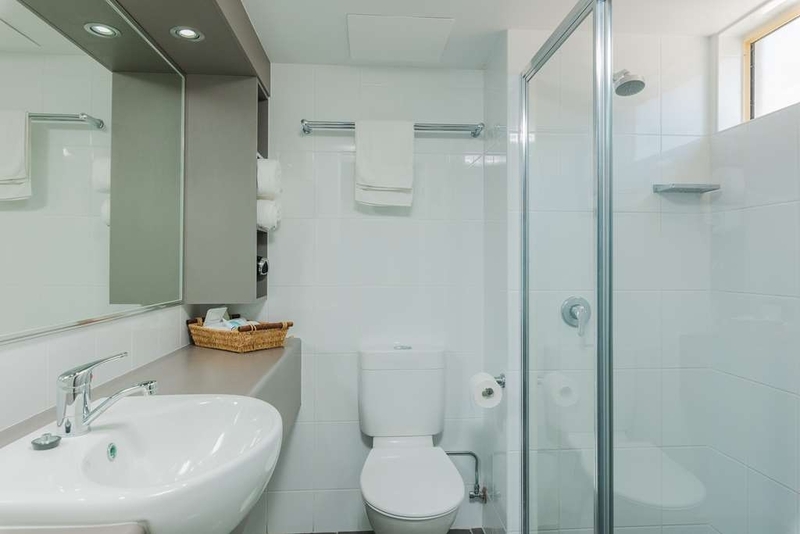 However, the position of the toilet roll holder in the bathroom required one to be a contortionist to access the roll - very poor design for a recently refurbished room. The fridge was next to useless and had no freezer - not important for some guests but my work often requires me to have lunch on the road in areas away from shops and a couple of freezer bricks come in handy for the ice box. I would expect a property charging at this level to have a functional fridge. The reception person admitted that regulars use the restaurant freezer - and admission that the fridges are inadequate. For a property that charges around $150 a night the 200 MB limit on free Wi-Fi is unacceptable in this day and age. The Wi-Fi worked well in the restaurant area but not in the room. I agree with some previous reviewers that traffic noise is an issue at this property - it is right on the Bruce Highway. I agree with a previous reviewer that the doors are noisy when being closed - they are of a heavy design with spring-loaded closing which is awkward when one is carrying luggage in to the room. 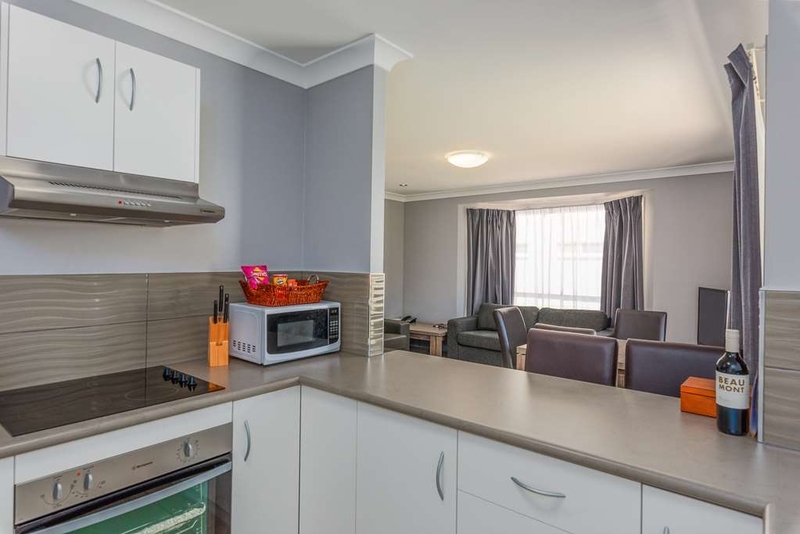 If this property did not charge around $150 for a room I would not be so critical but I have stayed in many motels which charge around $130 to $140 a night in centres of a similar size or smaller than Rockhampton and have just as good amenities, better Wi-Fi, less noise and a functional fridge. 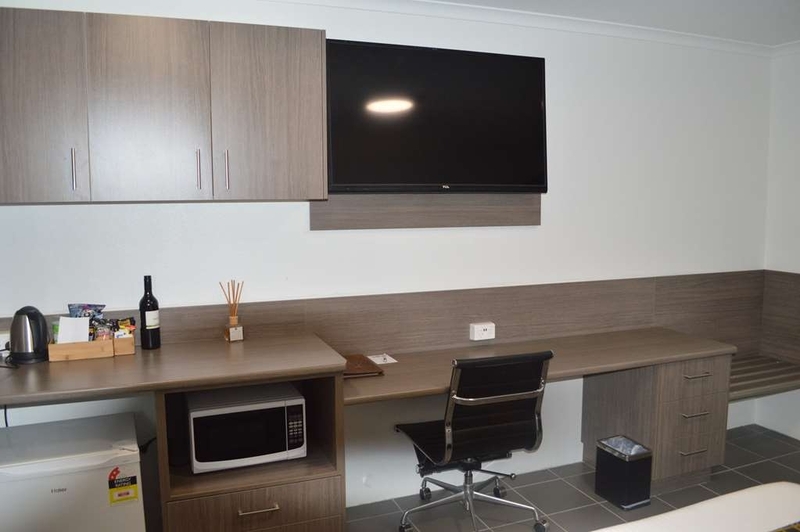 One can find motels in Rockhampton that are better value for money, especially if the traveller is paying their own way and not on a corporate account. There is so much choice in Rocky and I've stayed in good and not so good. I have to say that the Stirling Best Western is the best place so far. The food, room, service were all very good and I won't need to look any further next time I visit. I was so impressed on my last visit, I told the managers last time I would write a review here, but forgot. I have come back again because it was so good compared to other Motels in the region & will continue to come back. They had all the things important to me in the stylish, clean & modern rooms, which include a very comfortable bed with 4 X luxurious pillows that matched the quality linen, a large shower with lots of hot water & pressure. Good bathroom ventilation that didn't fog the mirror up & loads of bench space for this girl's toiletries (some luxury complimentary toiletries were also supplied). 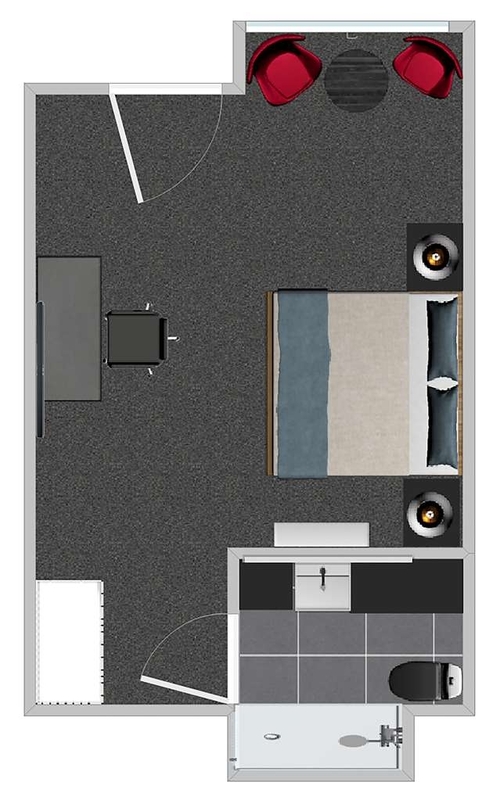 A large wall mounted TV & a desk to work at are also necessities I require. Something I didn't expect was the warm hospitality that the managers extended on both trips, it was like they were good friends & nothing was a problem for them. The meals I had were large, delicious & one of the rare motels that do not charge for room service too! A winner all around for me. Hard to imagine the high review count for this motel on the A1 major highway. Given a corner quiet room with free wifi, was neither quiet or have working wifi. Walls are paper thin, literally could hear next door use bathroom and his conversations. Traffic noise is constant throughout the night 24 hours a day with heavy trucks. Wifi didn't work in the room, at best had to sit on stairs outside my room to get one bar. Bed was solid rock, Only positive was the food, grilled steaks on the menu. Strongly suggest staying elsewhere but visit the restaurant. 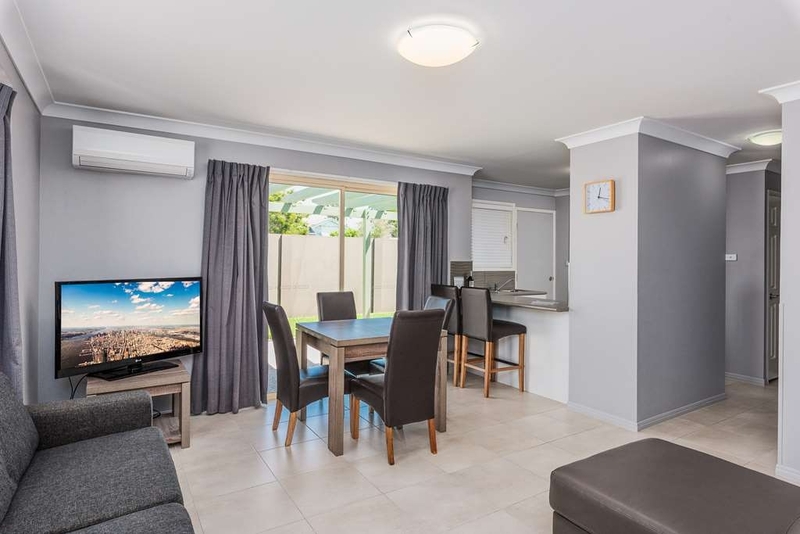 "Modern, well equipped, large TV and spacious room"
We had just the one night at The Stirling on a road trip from Townsville to Brisbane. The room was light and modern with a large LCD television which was easily viewed from both beds. This was especially important as we were watching a men's semi-final from Wimbledon. Couldn't fault the room at all, everything we've come to expect from a well maintained and professionally staffed Best Western motel. No hesitation recommended this property to the discerning traveler. I can remember staying here a long time ago when it was called something else. The place has had a complete facelift but the carpenter who hung the doors needs to come back. All doors jammed when trying to close them and the electronic lock was hanging off the door. Rooms were good and quiet even upstairs facing a busy road. Restaurant is popular with the locals so make sure you book or you will wait a long time for a table and even longer for food. Reasonable value. 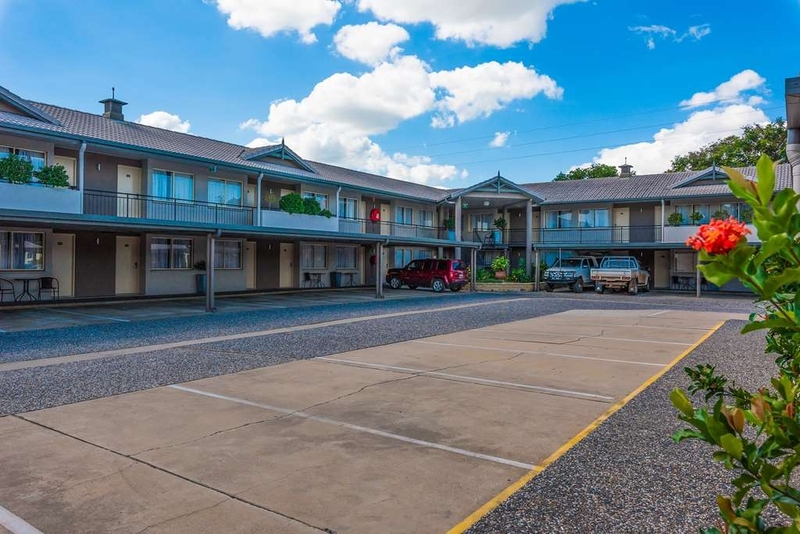 Booked this motel last minute at Rockhampton after being stuck in town due to floods. Was very pleasantly surprised. Room have been renovated and has nice comfy beds and a large screen TV. 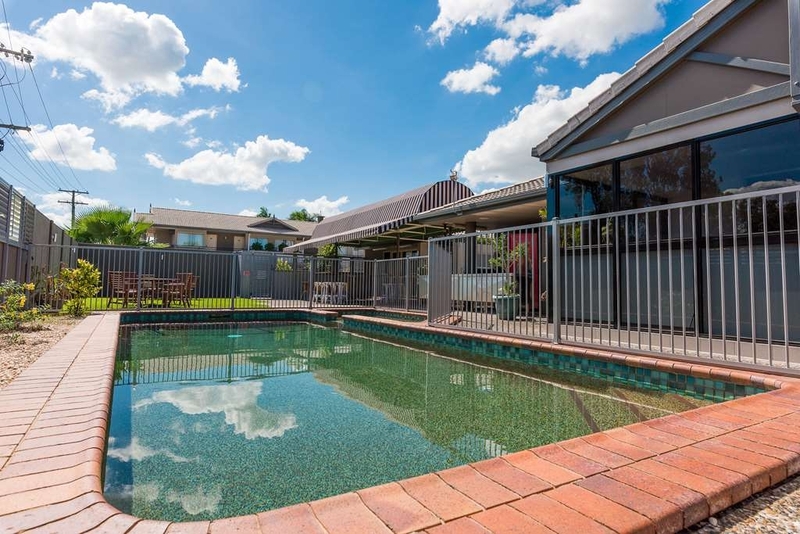 Would recommend to anyone looking for accommodation in Rockhampton area. I was pleasantly surprised with the new renovations! 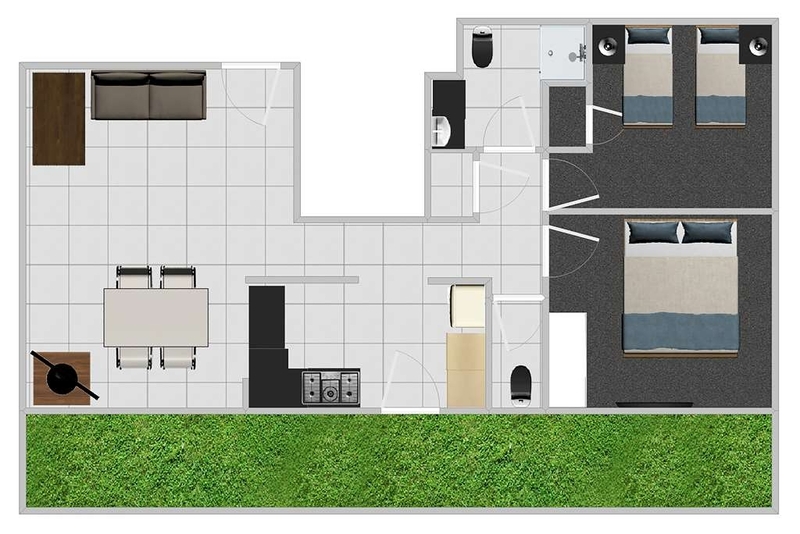 It is spacious enough for myself and boyfriend and has a big shower/bathroom. Modern finishes. Very easy to get a car park. Central location. Friendly staff!! I will definitely stay again and highly recommend. The manager is very involved and super friendly, the catering for the day was quite nice as well, with fresh wraps and warm muffins. It is a little noisy due to close proximity to the highway but other than that it's pretty decent. The restaurant section looked well presented and I'm keen to try it out for dinner some time soon! 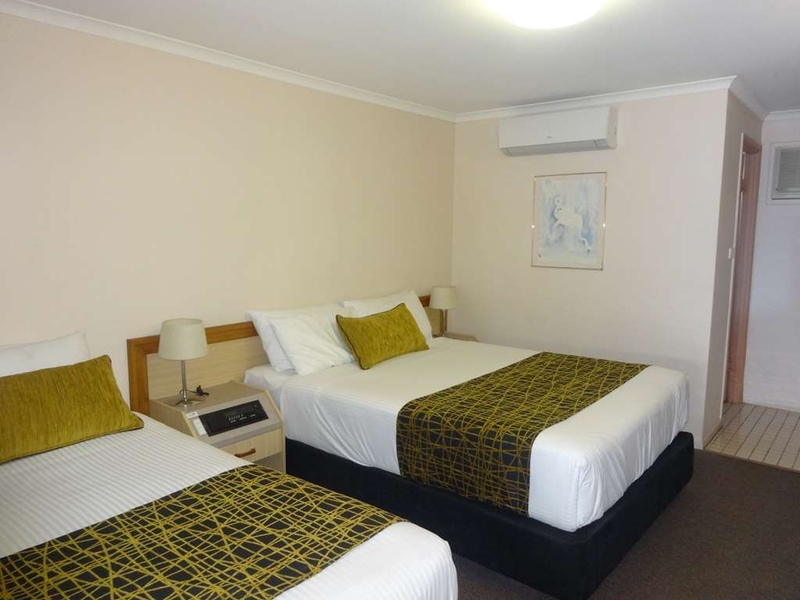 Best Western is usually a reliable brand and the Stirling Rockhampton lived up to expectations. The bed was comfortable although perhaps a little softer than our preference. The shower had very good pressure and lots of hot water. The room was modern and clean. The free wifi was very good - I was able to stream ABC iview videos without difficulty. A couple of negatives. We had one of the units at the rear of the main complex. Each unit shares a very small entrance with another unit - there was no light in the entrance and the doors were noisy - our neighbour disturbed us a few times late at night and early in the morning, and we probably disturbed them! The 2 doors were inconvenient for moving our bags etc in and out of the room. There were no coffee mugs in our room and the snack bar had not been restocked - we did not want any snacks but we're concerned that we not be charged on the assumption that we had taken the snacks. The staff quickly provided mugs for us. There are insufficient parking spaces in front of these rear units but it is ok to park in front of the garages attached to the units as these are only used for storage of spare furniture. We stayed one night after making good time on our holiday travels. A telephone call secured a room and dinner at their onsite restaurant was made easy by the owner Rob. The Stirling was easy to find well located on the highway. Noise was not a factor as our room was set toward the back. The motel was either recently built or refurbished. It was modern and well appointed. Comfortable beds and very clean. The restaurant was capably operated by friendly waitresses who were quick to attend to a couple of thirsty and hungry travellers. Our evening meal was sensational. You have to eat their ribs - just outstanding !! Breakfast was also well cooked and generous. Highly recommend the Stirling as a convenient, well designed and located motel. Stayed as a couple 23 May 2016. Have stayed at The Stirling several times and never disappointed. Has always been a fantastic experience from the room to the restaurant. Last couple of visits have stayed in a family unit at the rear with full amenities and so so comfortable. Our home away from home! We stopped here overnight on the way to the gold coast. We were very impressed by almost everything. There are so many little touches like a timber chest full of Twinings teas and the most soft cloud-like pillows. This is the first hotel we've been to in this price range in a long while with a proper blackout curtain on the window, it's all the little things that make it worth the stay. The shower was huge with awesome water pressure. The only disappointment was that when we went to look at the room service menu the kitchen closed at 8:30 pm with no after hours options. This feels like a missed opportunity as we had to then go find takeaway. A basic after hours menu with sandwiches and easy fried options would be an awesome addition to a comfortable stay. "Budget price, First class value"
Check in gave you a glimpse of a clean hotel and raised expectation which did not go unrewarded. Remember though to ask for milk at reception for your tea and coffee as it was not offered but is available - much nicer too than little uht pods. Room was of a good size, very clean, well made comfortable bed, small robe with iron and board, well appointed bathroom with generous walk in shower. 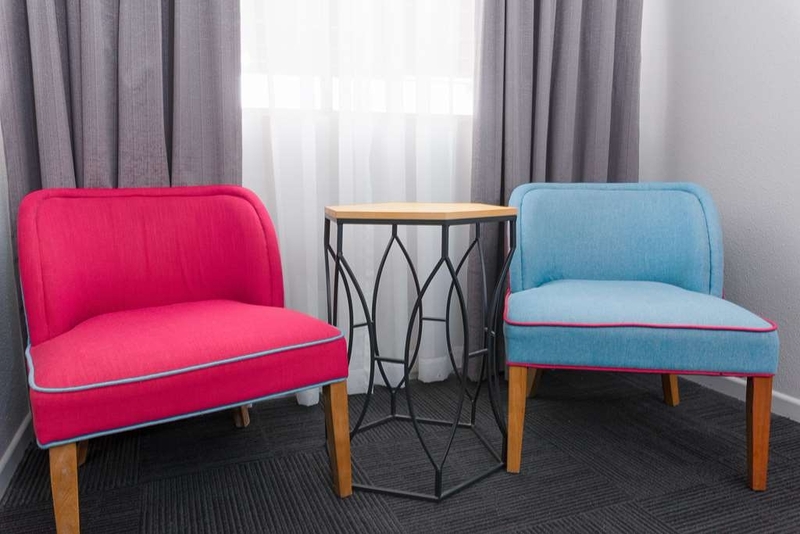 Two comfy chairs and a table made a cosy addition to the room. Most motels I stay in are a case of 'well its only a place to sleep and I';ll be out in the morning" but this room was not the case as felt like a place you could come back to and relax or work. The electronic door key is secure but on leaving the room I found you had to open the door again to allow the door to be closed and a few moments later it would lock. A few people had evidently not realised this and on leaving early in the morning were trying to slam their doors to get them to close. You are on a busy corner and there is road noise which fades in the evening and rarely heard thereafter, but if you wake you are aware of it. It builds again in the morning. Clean towels, not quite fluffy but certainly a soft feel , bath mat and face washers. Breakfast was huge, and very good, service great, friendly staff. Would stay again with no hesitation. I recently stayed in a 1st floor room and was very happy with my time here. The rooms a very clean and modern with a well stocked mini bar and a good sized bathroom with everything you need. The restaurant food is excellent and the service was great. Our hosts were friendly and helpful, and the check-in process was a breeze. The only negative might be noise from the traffic on Albert street if you are a light sleeper. I was working nights and sleeping during the day when traffic was busiest. "Was such a wonderful experience." The staff were very wonderful and welcoming, the reception area is very nice and clean. The food was absolutely beautiful and on the plus side I didn't wait to long either, I walked into my room and was I delighted. Overall I was very happy with my experience at the Stirling. Can't speak highly enough of Robin and the team at the Stirling Rockhampton. The rooms were recently renovated. We had a small conference and had fantastic service, 5 Star! Great restaurant and excellent meals. Thanks for your hospitality we will be back again for sure! "went to make a booking direct. more expensive than online." walked in as family were staying. said price cheaper on line (direct and last minute ) told that was different room, unsure why??? said I needed 3 perhaps a week or more. rate too expensive left after 2 days and found a lot of others around with better deals. room was not made up or towels changed as it was public holiday. not told on arrival. not for me. This hotel is a great place to stay. I have never had a problem when staying here. Rooms are always clean, the food is fantastic and the staff are very friendly. i would recommend staying here to anyone. We stayed at the Stirling in March 2016 and it was a clean, comfortable, well maintained motel. We stayed in a 2 bedroom family unit. It had a full kitchen and laundry facilities and was very well air conditioned. The staff were friendly and helpful. We had breakfast and dinner from the restaurant and this was enjoyable (8 out of 10). The pool was average, but ok. My only disappointment really, was that there was not bath in the room. Overall - great value for money and an enjoyable stay. Stayed here for the night on the way back home after Christmas. 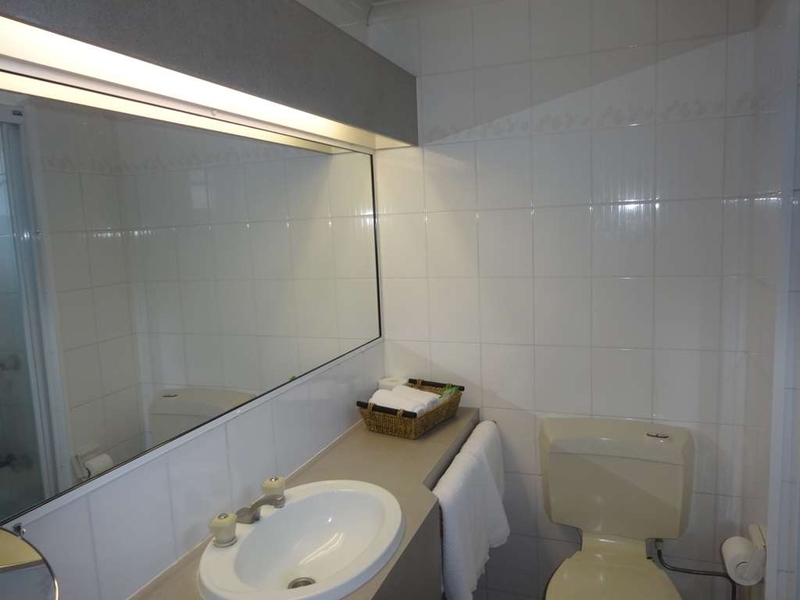 Knew nothing about Rockhampton accommodation and booked through tripadvisor. Close to the highway without the noise. Well presented motel and quite modern rooms. All appliances, fridge, wi-fi and mini-bar. Comfy beds and quiet air con. "Hospitality and Services Specialists - Best in Rocky." The Rooms are very well fitted out for an easy night or multiple nights stay - clean and well cared for by the Stirlings Management and Team - The staff are the friendliest people ihave ever encountered in all my travels - You want to be spoilt simply go to the Bar & Restaurant, get comforatble in louge chairs and or book a table in the roomy restaurant - the staff are attentive and your never left wondering when you will be served - drinks are always bought to you without having to ask - the wait staff, i wished i knew all of their names my bad considering they all wear name tags, Tanya what a fantastic personality very caring and Friendly. Check in / Check out could not be easier - the smiles and cheerful manner that greets you from a fantastic guy called Robert - i will finish off by saying the Night Chef Ally and Morning Cook Rocky Renae just sets the theme where eating is concerned. Nice atmosphere and friendly service. Meal sizes are generous and not too pricey either. I got the pork and was pleasantly surprised at the amount of greens that came with it - very unusual for a steakhouse! My dad got the chicken and also enjoyed it. A nice upmarket steakhouse, I look forward to going back. "Great rooms and great food!" My colleagues stayed at The Stirling and were very impressed by the rooms. Modern, clean and bright rooms with comfy beds. 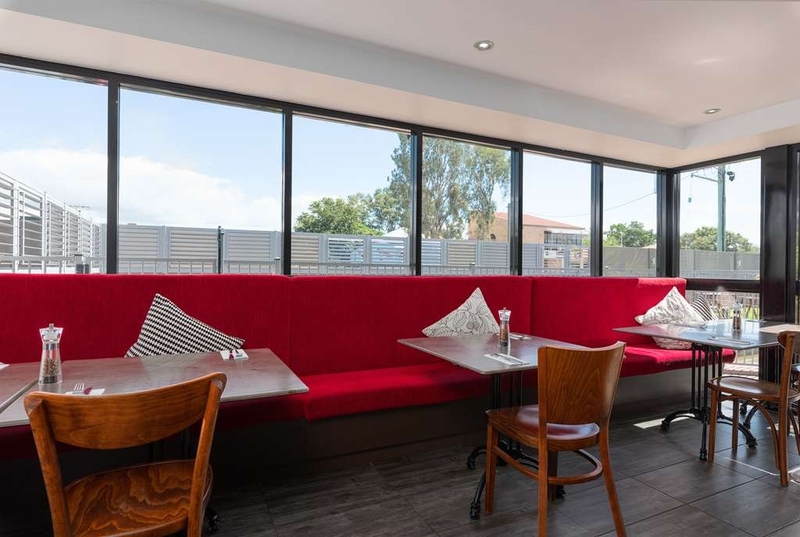 I regularly dine at The Stirling restaurant and once again they dished up quality, delicious meals promptly, great service from staff and great atmosphere. There is a meeting room on site which suited the 8 of us perfectly, it was a convenient location for us with accomodation, food and a meeting room all in one location. "Great Hotel When Working In Rockhampton"
I spent several weeks working in Rockhampton filling in for a college whilst on holidays. Staying at the Stirling was a pleasure, they understood I was their for work and made my stay comfortable and homely. The staff are great, polite, and very helpful. The meals are outstanding, good country fair, perfectly cooked steak, compliments to the Chef. Over all they made two weeks away from my family comfortable and enjoyable. Cold beer on tap also, always a bonus. "Good Hotel for a break"
The Stirling is a Motel style hotel, but really nice. The reception was helpful and friendly. The rooms nice enough, good facilities and spotlessly clean. The restaurant was good and the staff there friendly as well. I would stay here again as it was good quality at a reasonable price. Well done the Stirling. This hotel belongs to the Best Western Group. It was a perfect hotel for a one night stay with all the modern amenities and a fully furnished kitchen. The hotel was very clean and quite at the same time despite being located on a busy highway. The internet was very complicated to use. The free WiFi was misleading as it had a download limit as well as at any given time only one device could be used which was annoying at times. The property also required a pest control desperately. "Best service and big meals"
Very old fashioned and loud room, not really clean,very loud because of the main Street. 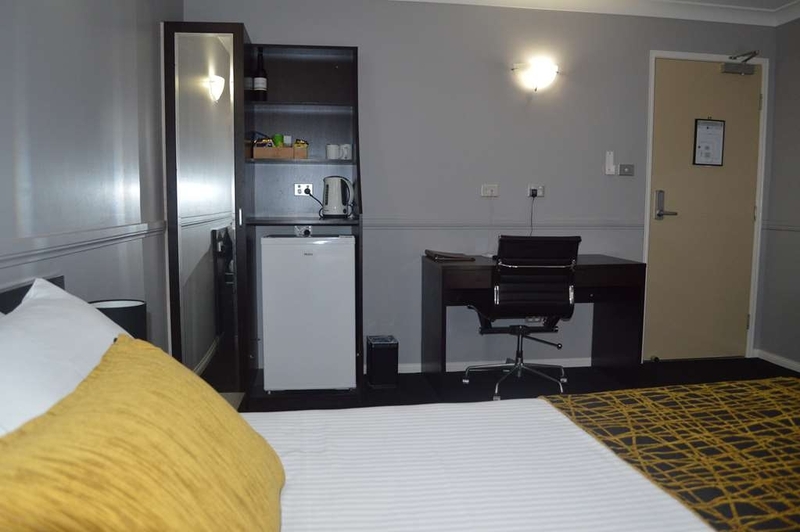 just for a night if you have to stay at Rockhampton ( ugly City...) no facilities, a little expensive for what you get. I wouldn't recommend to stay at the best Western. Very pleased with our two night stay at The Stirling. We received a warm welcome and were directed to our room (27). We had requested a first foor room on booking and that is what we got. 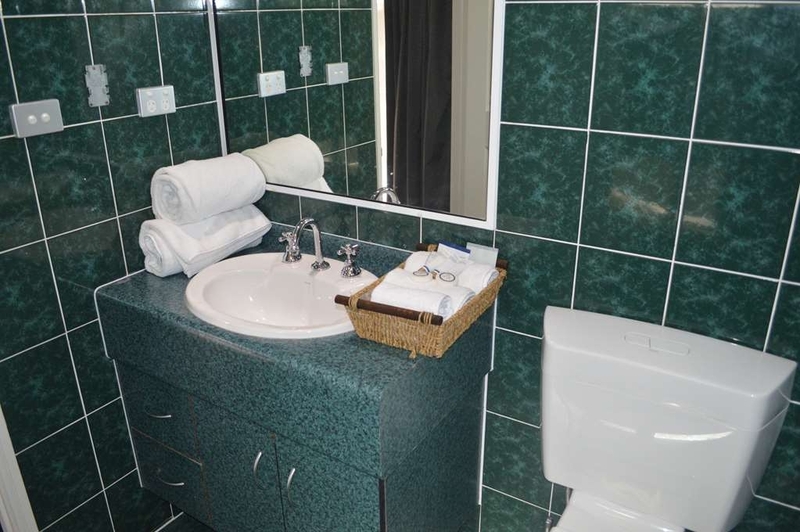 The room was large and clean and tidy with a very nice on-suite with walk in shower. We ate out on the first night but took advantage of the dining room on the last night. Our meals were excellent and good value and proved far to much for us to finish. Full marks to the staff who couldn't do enough for us. Stopped for one night on our drive up the east coast and were impressed with the quality of the room and it's fittings. The only downsides were the lack of a clothes airer (laundry available at cost which included a tumble drier - but not all of our clothes can be tumble dried!). Asked at reception for an airer, but were told that they had never heard of them! The only other thing was the road noise, which was intrusive from about 0700. But on the plus side the air con was great - very quite so could be left on all night without disturbance. Despite the preceding minor issues, the hotel does have a restaurant and a pool so good for families. We found this motel purely by chance on our return drive from Ayr. It was late and we were tired from the long drive but when we drove by and saw how clean and well presented the motel was we decided to call in. By the time we checked in we could smell the amazing aromas coming from the on-site restaurant and see how popular it was. Unfortunately we did not eat there but definitely would if we stayed there again. The rooms were fairly standard rooms but were very comfortable and clean. The bathroom was modern, clean and good size. Our friend's young son was rapt with the 3D television. Despite being on a busy road the rooms were so quiet. We would definitely stay here again. 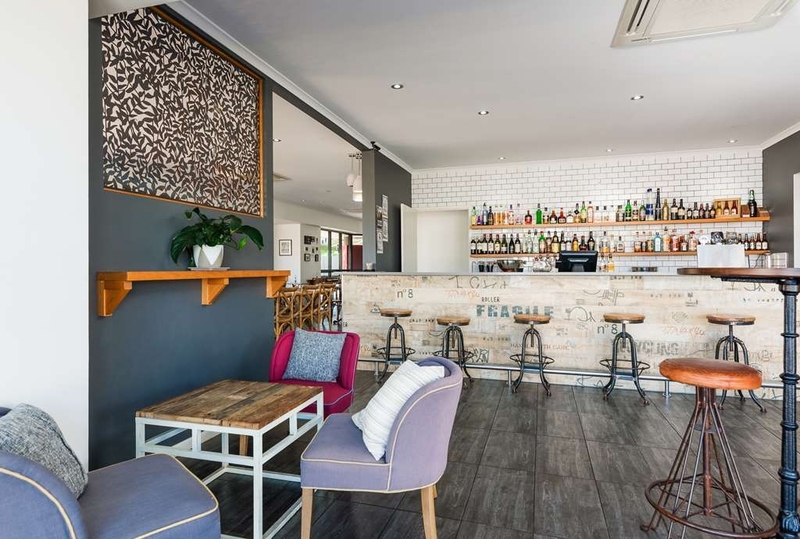 We're only stopping her for one night and didn't expect much but I would highly recommend it.The room is great, clean, big and a great bar/ restaurant. Had some amazing tapas from the new menu. The bar staff are great, 2 lovely ladies served us (7th October) who were very friendly and helpful. Would defiantly use this place again. Thank you. "Great rooms for a family"
Great rooms for a larger family, units were very spacious and contained everything you would need for a lengthy stay. The free wifi was a little disappointing though so very slow. Cocktails need a bit of practice to. All in all great stay would def stay here again. "Looking forward to the next time"
A quick 2 night stay in Rockhampton with a work colleague & decided to stay somewhere new for a change. Reception was lovely, friendly & efficient. Rooms were nice & large with super comfy beds. The night we dined in the on site restaurant the service was quick without being pushy & the portions very generous (don't worry, they are happy to do a doggie bag for leftovers). 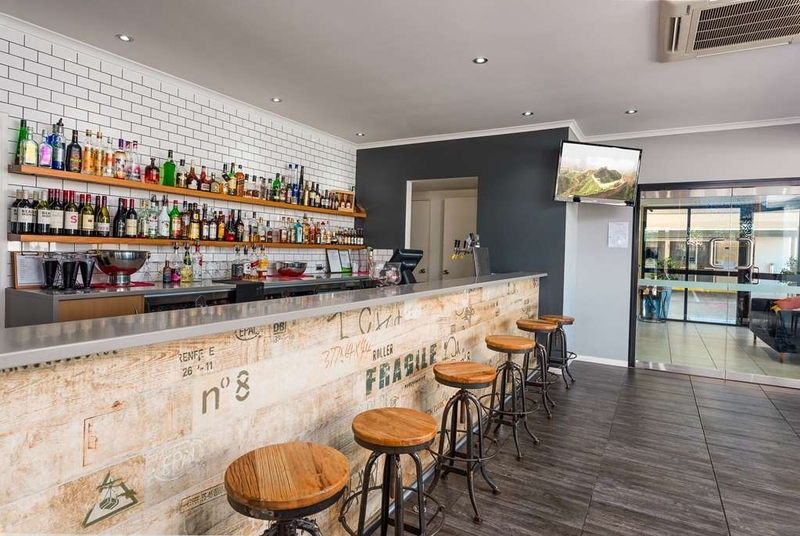 They also have a well stocked bar if you are in the mood for something a bit more special. 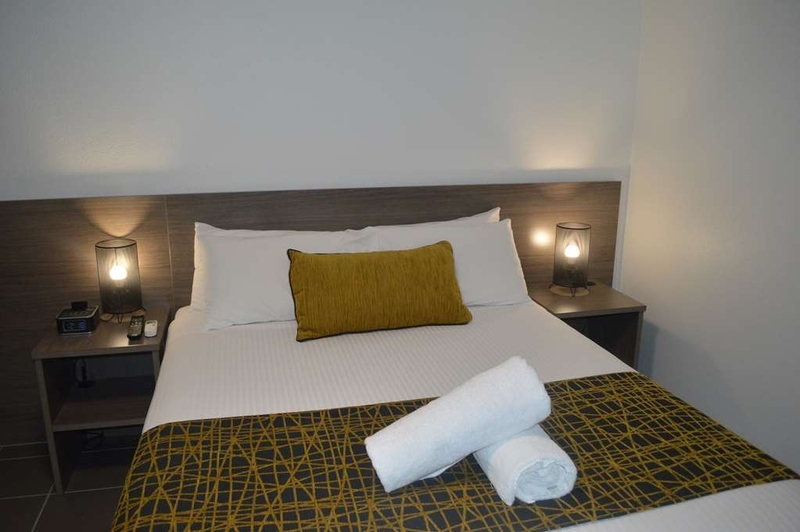 I would happily recommend this hotel to travellers heading to Rockhampton who are looking for something a little more personal than the usual run of the mill experience. Have stayed here a few times. Always love the service on offer. Recently renovated and is looking great (except room fridges which don't seem to cope well). Very clean facilities. Dining options in the restaurant are sweet with a well stocked bar. We booked a budget room and it was excellent, nothing budget about it! We even had a spa! We will definitely stay again on our trips to and from FNQ and would recommend it for others. The restaurant food was very good but a little on the expensive side.